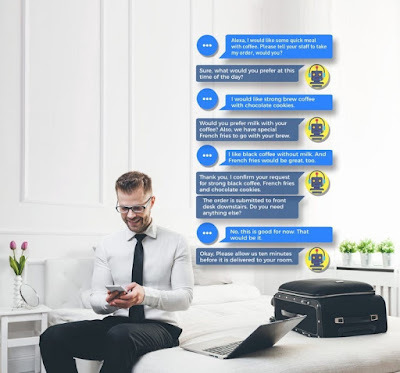 Chatbots Magazine details Intelligent Travel companions impact for Hotel Guests. "Travellers have evolved lately and desire a great mixture of high-grade personalization and exceptional service standards on the go. On the other hand, hotel operations often get complicated due to heavy amounts of data about visitors and hotel staff, resulting in critical challenges related to flawless customer experience. This is where intelligent travel phones can come to assist". Combined with AI voice enabled tools, such as Amazon's Alexa, offer guests easy, efficient methods of 'ordering' services. "Guests save time and efforts by placing their order without spending time typing the request details using touch gestures on their mobile phone. Alexa is there to fetch information, note down and suggest pre-emptively. Hotel staff receives the precise order in the first attempt without even refining it, which ensures smoother, faster customer service". 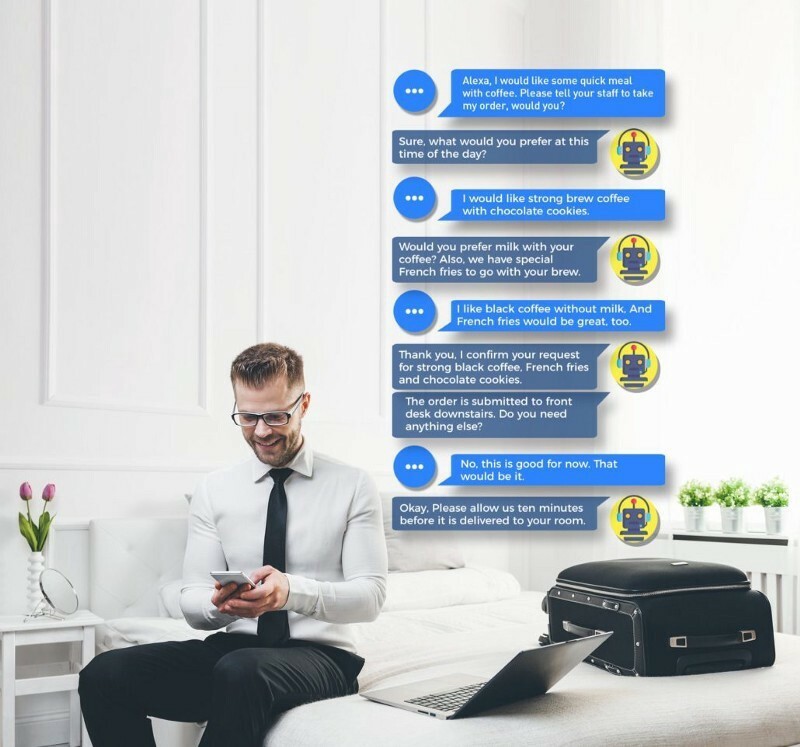 How Hotels are Using Artificial Intelligence to Deliver an Awesome User Experience.